SAP Vuruşkan* Systems Integration Project has been succesfully completed in 2016 under the consultancy of Detaysoft and the system has been running successfully since then. Vuruşkan is a cement sector based software that Votorantim uses. SAP MM(Materials Management), SD(Sales and Distribution), PP(Production Planning) systems are integrated with Vuruşkan system by using SAP PI(Process Integration) solution. *Vuruşkan; An application called Vuruşkan, manages cement and concrete logistic processes. Votorantim Group, is a 100% Brazilian company with presence in over 20 countries and will complete 98 years of activity in 2018. Through Votorantim Industrial, it operates in various sectors that are capital intensive with a high production scale. Votorantim is present in the following segments: Cement, Metals, Steel, Energy, Pulp and Agribusiness. Detaysoft: Detay Danışmanlık Bilgisayar Hizmetleri Sanayi ve Dış Ticaret A.Ş. 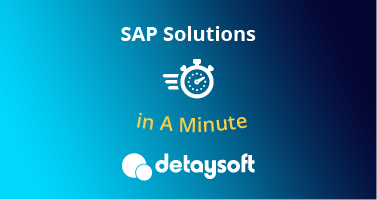 The largest SAP solution partner in Turkey with a 100% Turkish capital, Detaysoft elevates its clients' business processes to international standards with continuous innovation and offers solutions with digitalization to companies in transformation process since 1999. Implement all the interfaces required to the new Vuruşkan requirements, processing master and transactional data individually and in a more automated way. Implement the pricing functionality in SAP, taking into account the tariff of finished product, additives and additional services that may be provided to the customer. Implement the credit control functionality in SAP, and communicate the result of credit validation to Vuruşkan (block and release of sales order). 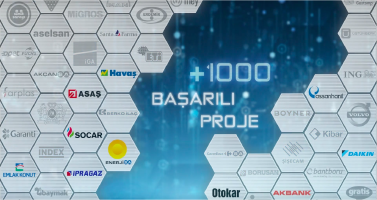 With real-time integration of SAP and Vuruşkan systems, there have been improvements in operational times by 20% and in user interventions in integration errors by 100%. It reduced the ECC workload of interfaces management.